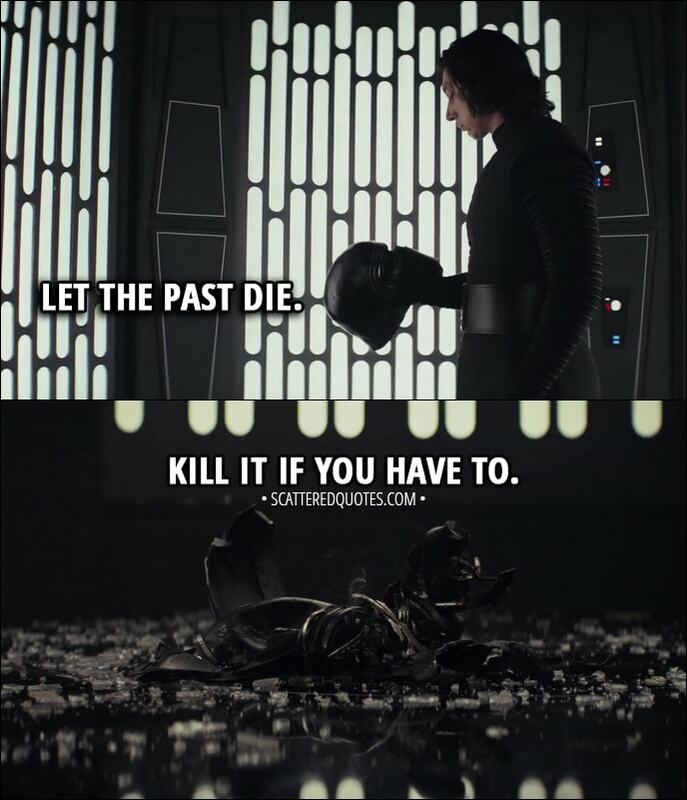 Kylo Ren (to Rey): Let the past die. Kill it if you have to. That’s the only way to become what you were meant to be. 27.12.2017 Let the past die. Kill it if you have to. With the past dies, fans can no longer see DarthVader (Anakin Skywalker), Luke Skywalker, Han Solo, Obi Wan Kenobi, Master Yoda, and Leia in the FUTURE SW.